Chris Barrie reads the Red Dwarf novels on BBC Radio 7. 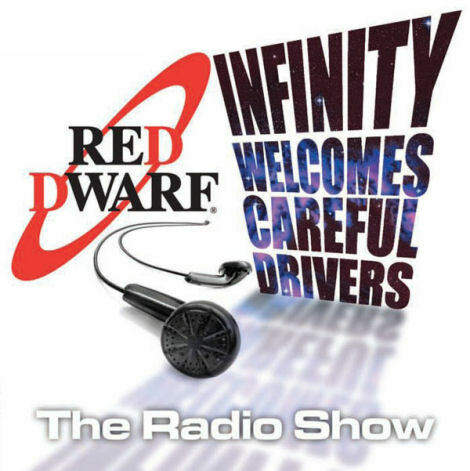 Oh, the Beeb are having a lot of fun with Red Dwarf over on Radio 7. First they pull Son of Cliché	from the archives, and now you're getting a run of the Red Dwarf Radio Shows. The book's read by Chris Barrie - though 'performed' might be a better word for the man who brings every character off the page with his remarkable vocal talents - and are enhanced throughout with sound effects and music. The result is a unique combination of novel and radio play, and it's well worth checking out. Every episode includes a 'Previously' recap from Chris, and after broadcast will be available for a limited period on the ubiquitous BBC iPlayer. So take in the heady futuristic atmosphere, listen to Petersen puke his way through spaceship check-in and the crew smooch along to 'Press Your Lumps Against Mine' at the disco, before it all goes wrong and Lister is left horribly alone, three millions years from home and... well, y'know. The Radio Shows are also available from the iTunes store.